WASD Shift: Skyrim DLC Leaked? 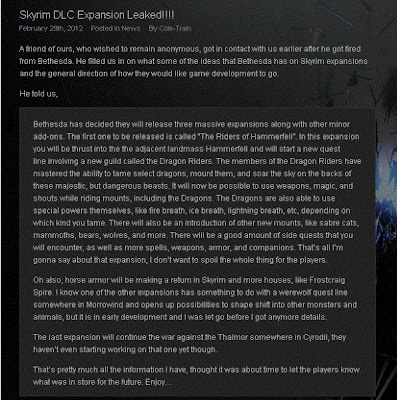 A post showing possible DLC details provided by an ex-Bethesda employee. The source of this image was here, the post on that link has a nice summary of key points at the bottom for you all to read. 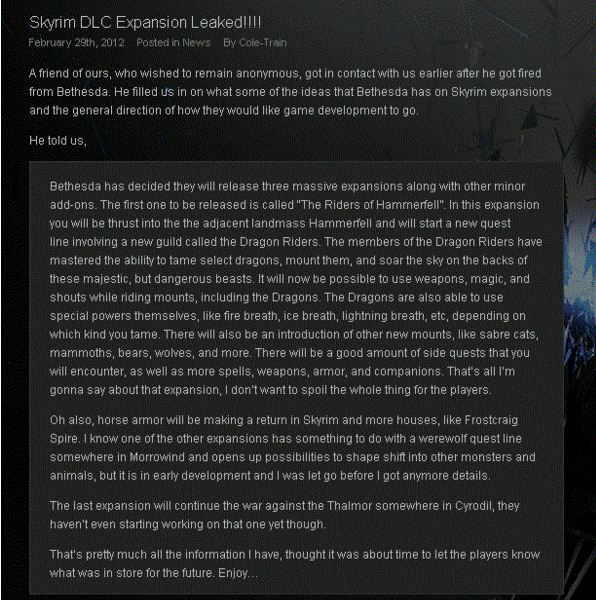 Personally I think it seems legit, but as usual, with most of the stuff flying around the internet, I am going to remain calm and see this as a possibility rather than confirmed content. But if this is what is going to happen... wow! Damn it Bethesda, I've already clocked 200 hours on Skyrim, are you trying to make sure I have no time for anything else! I will be sure to keep up to date when more info about this appears!